A sharply observed, wickedly satirical ABC TV series about bungling and corruption in the lead-up to the 2000 Sydney Olympics, The Games is a mockumentary classic featuring performances by John Clarke, Bryan Dawe, Gina Riley and Nicholas Bell. For development-mad Australian cities, The Games is more relevant than ever. If you enjoyed ABC TV’s Utopia, The Games is the perfect complement. 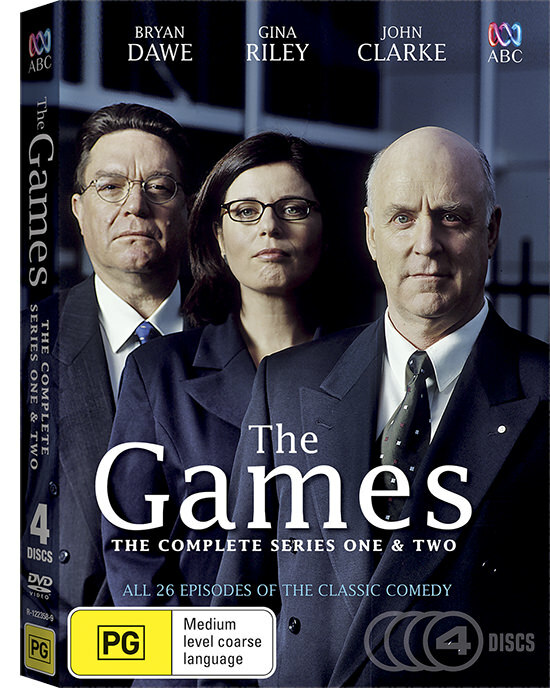 The Games DVD boxset comprises both the 1998 and 2000 series with a total of 26 episodes. Also now available for digital download. 3 boxsets courtesy of ABC Video Entertainment and Distribution.